It was released sometime around 2009. • Combo with (C) - Incl. 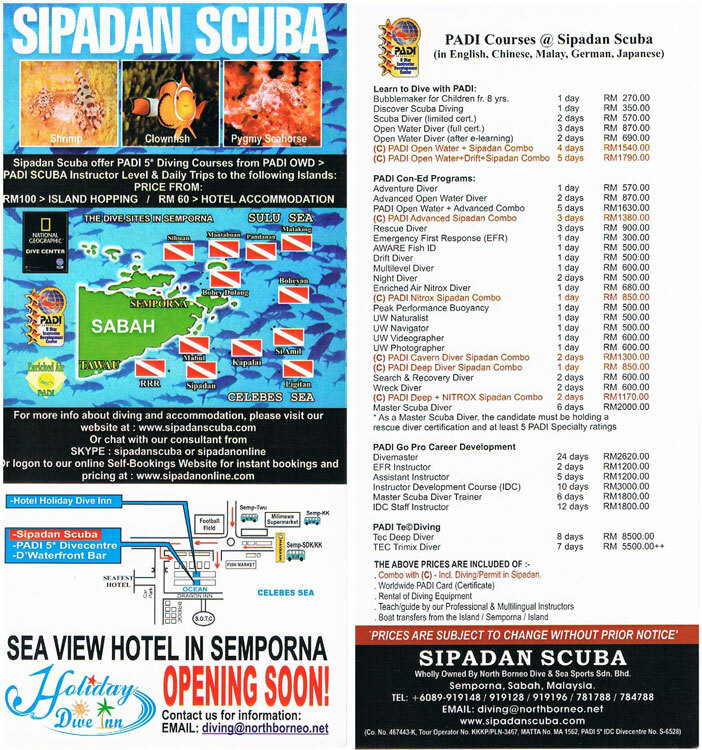 Diving/Permit in Sipadan. Wholly Owned By North Borneo Dive & Sea Sports Sdn. Bhd.